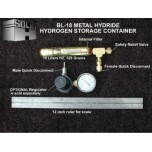 Hydrogen storage containers and accessories. Metal hydrides, such as those utilized in laptop computer nickel-metal hydride batteries, are filled with metal powders that absorb and release hydrogen. This is the safest method known for storing flammable hydrogen gas. Perfect for fuel storage for hydrogen engines or fuel cells. 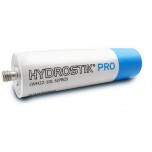 The BL-20 metal hydride has a Hydrogen Capacity of 20-21 standard liters (0.76-0.80 scf) and a re.. The BL-30 metal hydride has a Hydrogen Capacity of 30-34 standard liters (1.14-1.3 scf) and a rec.. The BL-60 metal hydride has a Hydrogen Capacity of 60-69 standard liters (2.28-2.64 scf) and a re.. 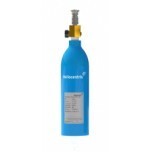 The BL-120 metal hydride has a Hydrogen Capacity of 120-135 standard liters (4.6-5.19 scf) and a .. The BL-220 metal hydride has a Hydrogen Capacity of 220-242 standard liters (8.28-9.2 scf) and a .. The BL-740 metal hydride has a Hydrogen Capacity of 740-822 standard liters (28.2-31.28 scf) and .. 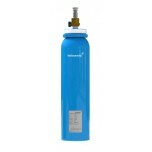 The CL-400 metal hydride has a Hydrogen Capacity of 400 standard liters and a recharge time of ab.. The CL-910 metal hydride has a Hydrogen Capacity of 819-910 standard liters (31.14-31.96 scf) and.. The MHS-200 metal hydride storage canister uses an AB2 metal alloy on a manganese-titanium lattic.. The MHS-800 metal hydride storage canister uses an AB2 metal alloy on a manganese-titanium lattic..